It’s that time of the year where most of us look back and evaluate our actions, reactions, and whether we could have done any better given the circumstances. I look back to remember if anything significant happened and its tough because every event was part of a sequence, part of a series of mini events that seemed only natural at the time. Many of which I would not have ever anticipated of when the year started. This is the reason we all check out our horoscopes at the beginning of each year in search of what may happen. Most of us don’t keep a log of the “events to take place” and we barely remember if any of them were true, yet we still read them. Its part of human nature I guess to look for hope everywhere. This hope is the fuel for the engine that keeps us striving and living for tomorrow. I do not usually keep any resolutions, but I know I want to be better in every way, everyday. I look back and see what I have achieved then directly look forward and move on. During 2010 I started this blog and I love it more and more everyday. The ability to share information, to get feedback, to engage with everyone around me, and most importantly make friends from all over the world is a gem. Through this blog and twitter I have managed to enter a world I would have never dreamed of entering. Whoever criticizes social media negatively, is probably doing it all wrong. I am glad to have met you, during the coming year I plan on enlarging my circle of friends and getting to know you better. There is nothing better than learning from others and yet teaching and sharing what you acquire. 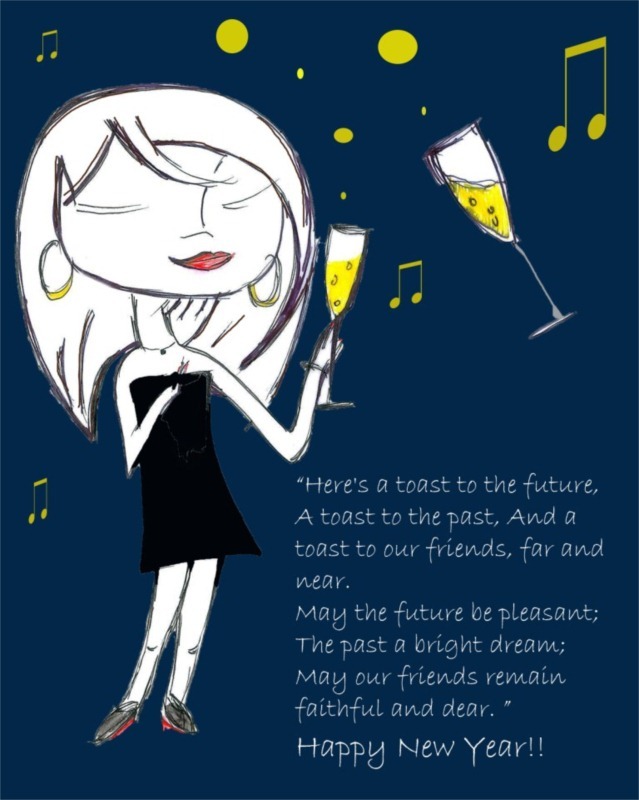 I look forward to 2011, as I look forward to the course of every year. I look forward to getting to know you more and sharing more. I am blessed to have this space to wish you a safe year, that’s all you need from anyone, the rest is up to you and how you turn each day to your advantage.